President Obama and his administration continue to forge ahead, rolling out renewable energy and energy efficiency initiatives in the face of intensifying rhetoric and ongoing opposition. Two announcements this past week highlight additions to the proactive, forward-looking framework for energy policy the President, his administration and supporters have been assembling. On August 30, president Obama issued an Executive Order to spur investments in industrial energy efficiency, including combined heat and power (CHP). 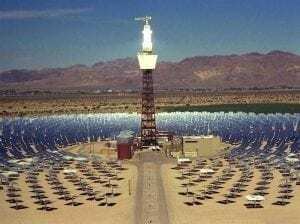 In addition, the Department of Energy (DOE) Aug. 29 announced it’s launching five new research projects aimed at further reducing the cost of photovoltaic (PV) and concentrating solar power (CSP). Supporting the Executive Order, DOE and the EPA released a new report entitled, Combined Heat and Power: A Clean Energy Solution. DOE also announced five new company commitments to the President’s Better Buildings, Better Plants initiative. Kingspan Insulated Panels, Cree, General Aluminum Manufacturing Co., Paperworks and HARBEC Inc. have signed on the program, pledging to improve the energy intensity of their operations by 25 percent over ten years. To date, partners in the Better Buildings, Better Plants program have realized at least $80 million in costs savings as a result of their efforts. The total’s expected to reach a cumulative total of some $1 billion by 2020. The President and his team also continue to be busy seeking ways to further stimulate and foster growth and development of renewable energy. Looking to build on the success of the President’s SunShot Initiative, the DOE intends to invest some $3.4 million in five research and development (R&D) projects to be carried out by multi-disciplinary research teams with members from industry, universities and national laboratories. “The past decade has seen explosive growth in the global solar energy market. American companies are helping to lead this dramatic progress—driving lower costs and introducing new, better performing technologies into the marketplace,” Energy Secretary Steven Chu stated in a press release. DOE categorizes the five solar power research projects according to two levels.Two projects making up the first have been awarded a total $900,000 to establish research partnerships that will use existing tools at Energy Department Scientific User Facilities. The first project entails PLANT PV partnering with the Lawrence Berkeley National Laboratory’s Molecular Foundry to develop 3-D mapping tools for higher performing thin-film solar PV materials, DOE explains in a press release. For the second, the Univ. of Colorado will use tools at the Oak Ridge National Laboratory to research development of inexpensive high-temperature CSP materials. The DOE’s investing $2.6 million in three, second level solar power research projects. All three involve establishing full research programs at a Scientific User Facility with the aim of developing new tools and expanding the capability of each facility to conduct advanced solar energy research. One project entails Sandia National Laboratory researchers joining with counterparts from the Center for Integrated Nanotechnologies in New Mexico to improve the efficiency of thin-film PV materials. A second involves Arizona State Univ. researchers working with x-ray technologies at Argonne National Laboratory. For the third, Stanford Univ. will partner with SLAC National Accelerator Laboratory to research inexpensive ways of printing solar PV cells. A complete, descriptive list of the projects is available online at the DOE’s EERE website. Is there grants for low income solar energy plan?